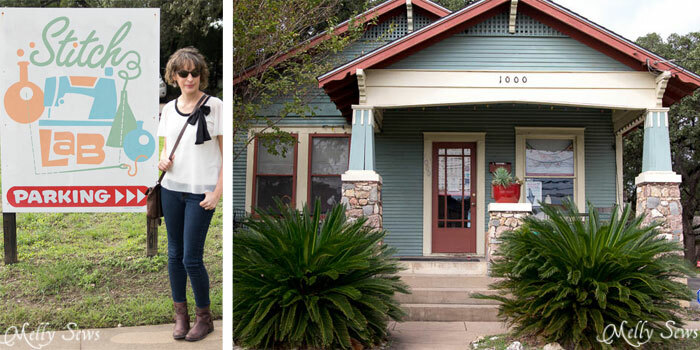 Hey y’all – today I’m sharing a little about the city I grew up in and around and still call home – Austin, Texas. This installment is things to do on South First street in Austin. To be more specific, the Bouldin Creek area, because South First is a very long street. We moved here from another part of Texas when I was three, and I’ve called the area home ever since, even staying for college to attend the University of Texas. 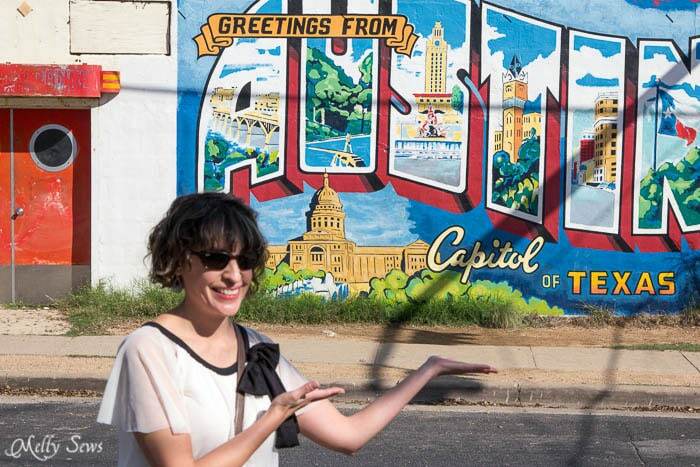 So it’s funny to me that Austin is now one of those hip cities that everyone seems to know about, because when I was a kid no one outside the state knew much about it except that it’s the capital of Texas. It seems like most of the popularity has happened over the last decade or so, and it’s interesting for to watch so many people move here. One of the recent move ins is my friend Miranda, who became my friend because she moved here and we knew of each other from blogging. A while back I had a brainstorm – we could totally collaborate on showing off our mutual city AND get to hang out AND call the whole outing a business trip. So you’ll be seeing these posts in a continuing series. You can check out Miranda’s South First post here, and she has some different perspectives, so you should definitely take a look. As for me – let’s start with what to wear. One of the things I love about Austin is that we don’t have much cold weather here. So that means that even on an early November day, I was OK without a jacket. I hacked the Wintersong Dress pattern to make a top, and because it’s Texas, boots are always appropriate. 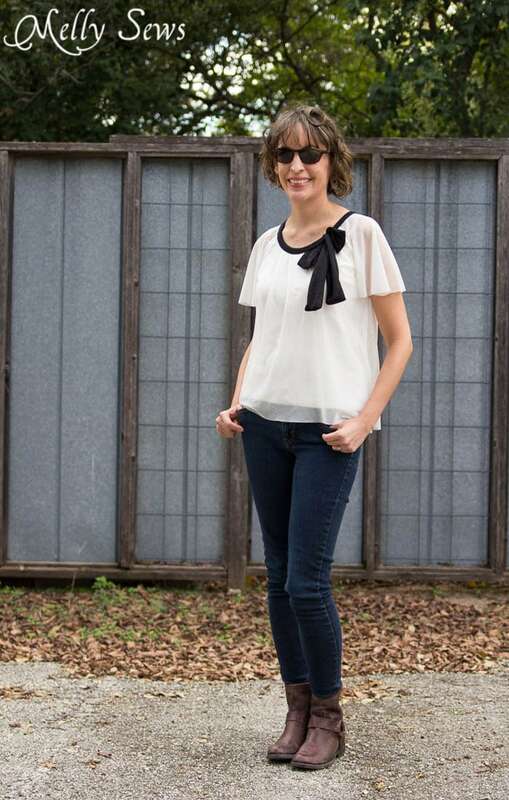 The flowy overlay of this pattern is perfect for this trip too, because there’s lots of eating! Get the full pattern hack tutorial here. 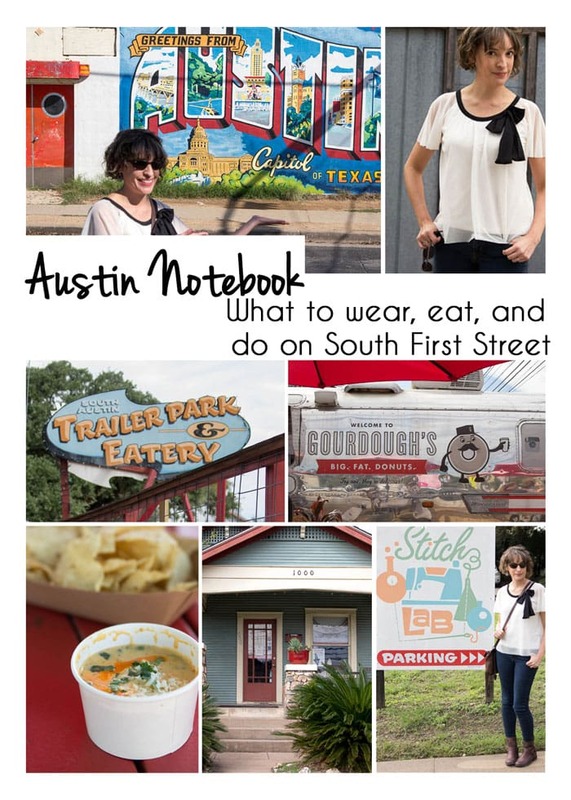 Once you’re dressed, you’re ready for a quintessential Austin experience. South Congress, or SoCo, tends to be the popular and touristy area, but just one block over on South First Street the crowds aren’t as thick, the parking is easier to find, and the food is top notch. 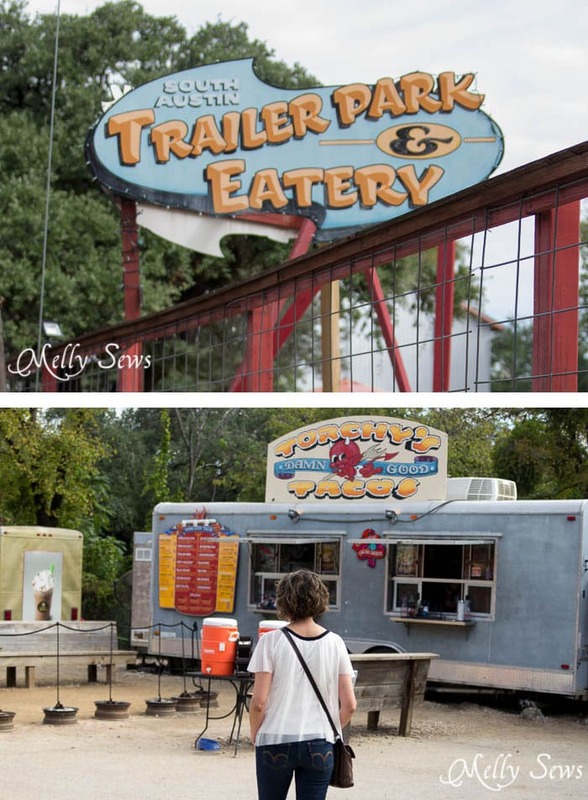 Austin is know for food truck trailer parks, and the South Austin Trailer Park Eatery at South First and Elizabeth is one of my favorites. Park in the lot here or on one of the residential streets and head to Torchy’s Tacos. Torchy’s is new-ish to Austin, not even 10 years old, but it is delicious (Or “Damn Good” as their slogan says) and has locations all around Texas now. When you go, you MUST get the queso. For those not in the know, queso is melted cheese dip you eat with tortilla chips, and in Austin we take our queso seriously. And this is the best queso in Austin. We eat at Torchy’s a lot (there’s a location 10 minutes from my house) and Tater and I have worked through most of the menu together. I haven’t had a bad taco, but my current favorite is the Independent without the escabeche carrots, pictured above. We also love the Street Corn, so if you go, take friends so you can share corn and queso and sample each other’s tacos. Leave a little room after you eat your tacos and walk south. 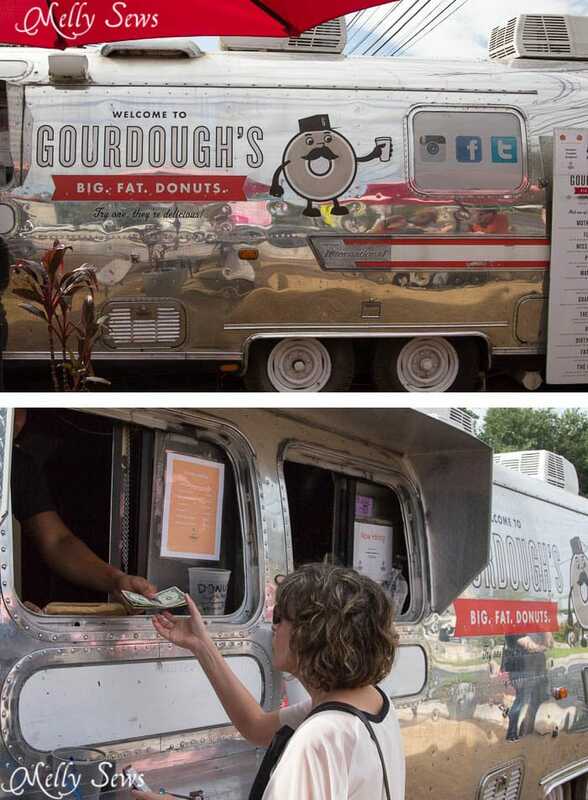 In a couple blocks, you’ll come to another food truck trailer park, and here you’ll want to try Gordoughs. Their slogan is “Big. Fat. Donuts.” and this is definitely the case. You’ll probably want to share with someone. 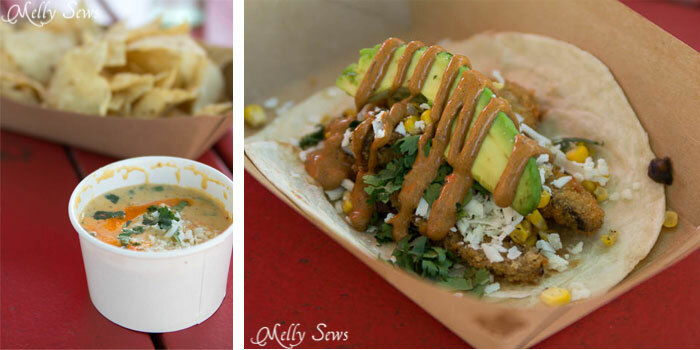 They have everything from sweet to savory and just like Torchy’s, everything is good. 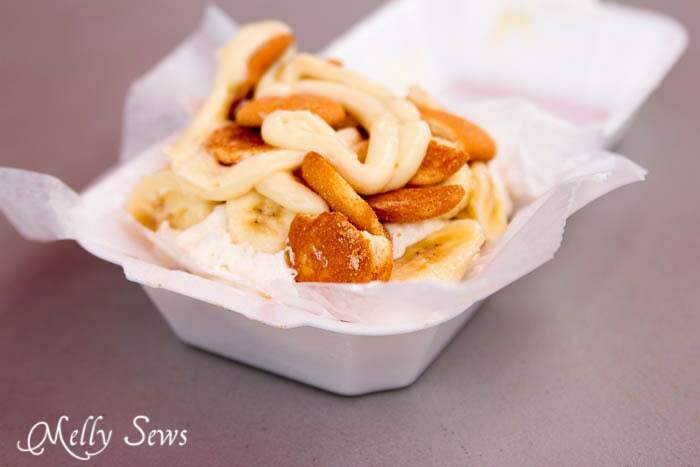 Pictured below is an average size donut – this is a “Puddin” which has vanilla pudding, whipped cream, Nilla wafers and banana slices. And way under there is a donut. Continue walking down South First toward Annie for an Austin Insta moment. 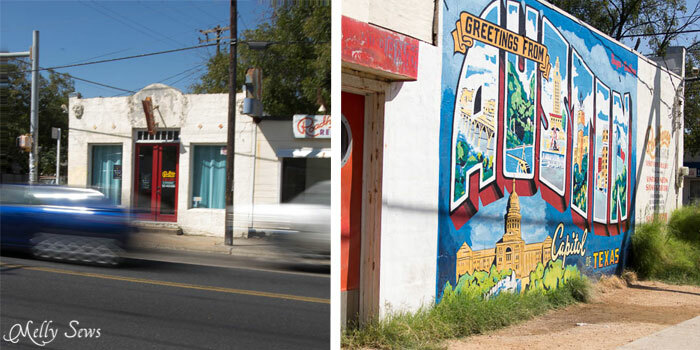 On the side of Roadhouse Relics, you’ll find one of our iconic murals – Greetings from Austin. Take a picture, but be mindful of traffic if someone is standing in the road. Also, this wall faces south, so it gets pretty direct sun most of the day. Keep that in mind if you’re planning more than a snapshot; the end of the day golden hour is probably your best bet for that. 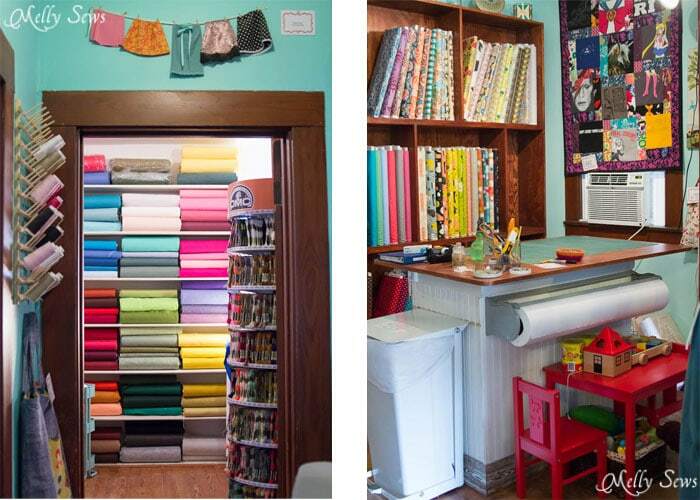 Finally, since this is a sewing site, we can’t go without mention of one of my favorite independent fabric stores in Austin, the Stitch Lab. You’ll want to get back in your car and drive north on South First street to get here, but it’s worth a stop since they don’t do online sales. 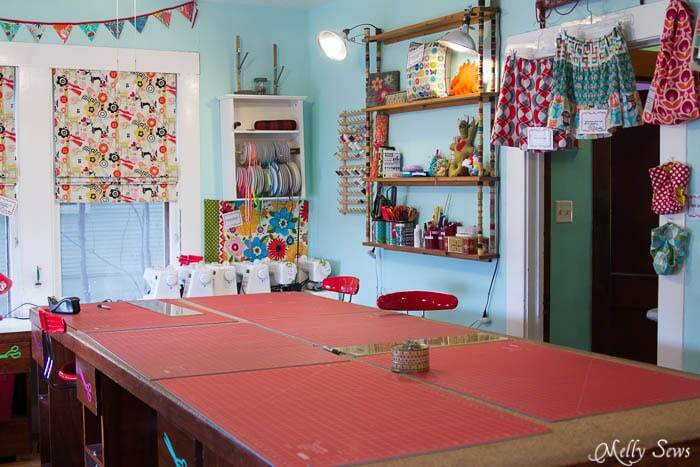 Stitch Lab is located inside a bungalow house that is typical of this area. 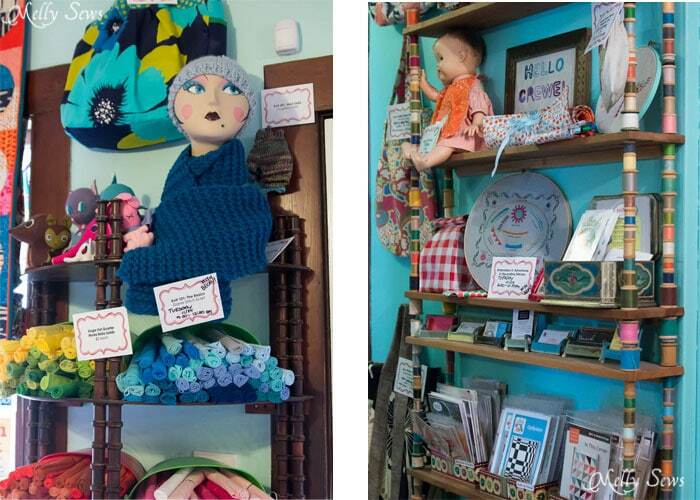 And it’s filled with quirky Austin sewing decor. As well as a wide range of quilting fabrics, and some apparel fabrics. It’s really packed in! 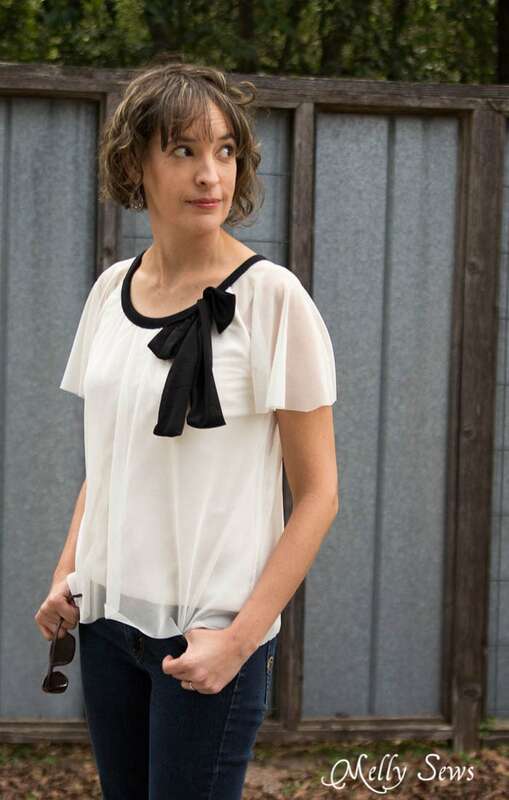 So there you go – DIY fashion, food, and fabric in one part of my city! I love this post! You added some really fun spots, and the outfit piece is so good. Can’to wait to continue exploring with you!